When I was a teenager there wasn't much to do in my small town, no fast food or places to work. I woke up in the morning and felt bored and unhappy. My home was not a happy one. When I graduated from college, I wasn't ready to teach as I had been trained, and didn't know what I wanted to do. I spent 6 months on my parent's couch, lying around reading and watching TV. It was a horrible nightmarish time. I still have nightmares that I can't get out of there. I finally got on the Greyhound and moved to Chicago where I found a job in an office. Two more times as an adult, I lost my job and moved in with my parents for 3 to 6 months at a time. The last time was when I was 34. Now in retirement, 4.5 years in, I still feel that emptiness and boredom at times and fear going back to that horrible time. Of course it couldn't happen, I live in a happy home now with my husband, and we have money to live on, and secure financial arrangements for the future. Plus, my parents are both dead. I think it is depression; for which I am receiving treatment. But like any other chronic problem, it rears its ugly head from time to time. I tell myself, today I am having a bad day, but this too shall pass. It has in the past, always. I have a good doctor for which I am thankful. I am not interested in finding a part-time job for a lot of reasons, and I don't want to volunteer. I have found some quilting groups on social networking which has been a big plus. And I spend a lot of time sewing, and giving quilts to people. I guess that is my volunteer job. When I get caught up, I plan on making quilts for charity. When I retired at the end of 2015 I was quite happy to leave my job. Since I was an older worker they kind of put the squeeze on me. And for three years at that job my life was pretty miserable. So when I walked out the door the last day of this job I was quite pleased and happy and that following Monday, my first day of retirement I was really flying high. I would take daily walks and I was so grateful for everything. I don't have a lot of money but that job gave me a retirement fund and if I'm careful it will last. About month three or four into retirement I started doing my genealogy. And all of a sudden one morning I woke up and I was depressed. It was as if a blanket was thrown over my body and I was a different person all of a sudden very sad. So I'm in therapy now and actually I prefer to go back to work and I'm looking for a job part time. I discovered that all my friends are still working so my days are lonely. I'm in therapy now and I'm feeling better and I discovered a vitamin herbal supplement that is help greatly. It's called mood support. And I've been on it for a few days and I feel much much better so I'm wondering if it's a chemical imbalance nutritional imbalance of some sort. In any case this therapy has definitely helped and in my case it was compound loss and post-traumatic stress. 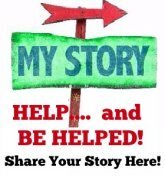 From childhood abuse to job abuse and an an elderly parent who might only have a year to live. So I'm dealing with all these types of losses. It's been really rough and spent many days crying. But what has helped greatly is therapy and coming to an understanding of what has happened to me in life. My therapist tells me that everything will work out and I'll be a happy happy person. I'm already feeling better and I've come to terms with the loss still coming to terms with a lot of things. Retirement isn't so easy. One has to prepare financially and mentally and emotionally. But who would know that all these things from one's life would pop up. But it's all good and I'm glad that I'm coming out the other side I still have to face my parents inevitable passing and that's very difficult but I've gone through stages of mourning and grieving and feeling better about it. So my advice to anybody is to really prepare mentally and emotionally for retirement because it's not so easy in the beginning as I've discovered. But there's no way to tell what one is going to go through or feel emotionally. But there is help out there and I recommend to everybody to make themselves available to it. Check with your doctor your therapist or get a therapist and if you can't afford a therapist there are there are ways to pay for it with financial aid. Firstly, I was not a doctor. I trained to be a nurse. Since I retired in 2001 I got myself a PC. and by 'trial and error' I taught myself how to use it. My main interest was to find my natural father and after that was accomplished I was at a loss because of the rejection. Although I have a good husband, I knew I was slipping into depression and before it got too bad I started researching natural ways to help. I also had a long standing lumbar syndrome, high cholesterol and a few other minor problems. I was intrigued by how many folk have cured themselves of nearly every affliction known to man! I thought I would just comment here to you about what helped me. Vitamin D3 and Turmeric. I am a different woman! 'Here's' to a new you!! log, blog or diary . You could begin by writing daily what you liked most about the day, what bothered you about it, and what happened that involved other people. Getting things out of you and onto paper can be heaiing and kind of exciting. Writing a kind of memoir can be a catharsis that is not boring.